2017 Home Reports Best Pick Status! 2012 Home Reports Best Pick Status! 2011 H ome Reports Best Pick Status! Interesting Fact #1 Since 1997 Murrell’s Waterproofing has sealed over 62,000 feet of foundation wall cracks. That is enough to reach from the top to the bottom of the Empire State Building over 51 times. 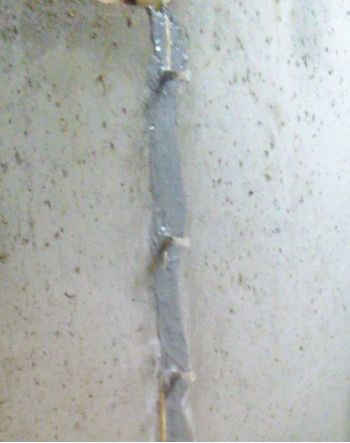 Crack injections are the most effective, noninvasive and least expensive way to stop water penetration in poured concrete walls. The gutters for the roof system can disperse a large amount of water along the foundation. It is very important that the gutters are cleaned out and not over flowing at the edge of the house. 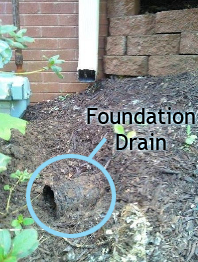 Additionally the gutter down spouts should be extending at least 10 feet from the house. The gutter downspouts can be extended with corrugated pipe or many other extension options available at your local do it yourself store.